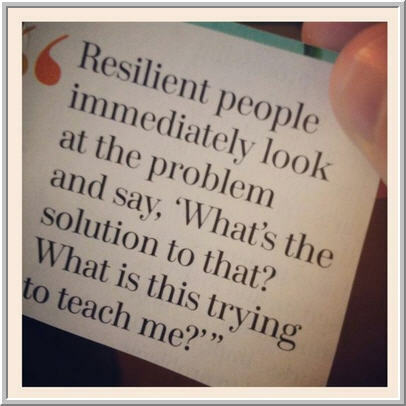 Resilience is the ability to encounter a setback and quickly resume forward movement. The resilient trader doesn't allow losses in the morning to prevent good trading in the afternoon; losses in one day to turn into poor trading the next day. Resilience requires belief in oneself and one's processes, and it requires the ability to look at the setback and ask, "What is this trying to teach me?" Much of resilience is having other, positive things to fall back upon when one part of our life is not going well. It's much easier to absorb trading losses when we are fulfilled by family life and enjoy physical health, friendships, and meaningful personal pursuits. A great test of a trader is to see how they perform after a poor trading day or week. Do they become impulsive and lose discipline, trying to make the money back? Do they become fearful and miss good opportunities? Do they double down on preparation and learn from what they could do better?